- Don't out-think the room in life. Like "Jurassic Park" is about dinosaurs coming back to life and eating people. That's going to work. It's going to make a billion dollars or more every movie. Well, the casting, I didn't think the plot was great. You know the acting was, shh, dinosaurs coming back to life and eating people. It's going to make a billion dollars. You go make that independent film nobody's going to watch. 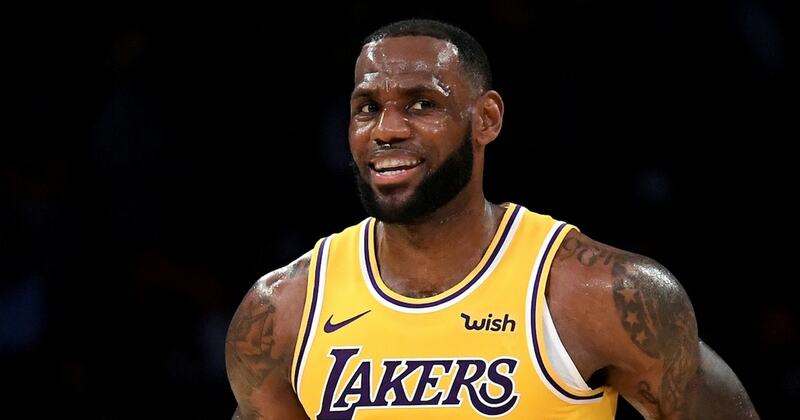 LeBron to the Lakers is going to be the most interesting team in the NBA. I know, I know. They don't have a chance to win a championship. Three teams in the NBA have a chance to win a championship-- Warriors, Celtics, Rockets. That's it. That's it. Then there's about 12 teams-- you know, Toronto, Philadelphia, Utah, Oklahoma City, Lakers-- they'll be really, really interesting and good. They'll be good teams. Not going to win a championship. Eh, not going to win a championship. But it's so funny. Zach Lowe is like this podcasting guy. He's one of those smart millennials. And he was how in his ranking yesterday of the most interesting teams to watch. He had Philly one, Boston two, Warriors three, Lakers four, Nuggets five. Stop it. Dinosaurs eating people is going to beat your independent film. The Lakers are going to be the most interesting team in the NBA to watch. Who cares if they don't have a championship. By the way, we see it when Brett Favre went back to the Minnesota Vikings. They didn't win a bunch of playoff games. They didn't get a championship. It was the best watch in the league. Legend changes teams. LeBron, the number-one brand to the number-one brand Lakers-- fascinating. T-O to Dallas didn't win a lot of titles-- superstar, biggest brand, fascinating. A-Rod to the Yankees didn't win a lot of titles-- one, superstar, biggest brand. Let's not out-think the room here. I mean, you know, it just cracks me up. First of all, so last night, I go out. And LA is the opposite of, like, Green Bay, Wisconsin. Where everybody in Green Bay, nobody moved to Green Bay for jobs. People don't move there for the weather. People that live in Green Bay are from Green Bay. People that mostly live in Green Bay, it's a small town. They don't go there for jobs. Los Angeles is the opposite of Green Bay. Half the city's not from here. None of my neighbors are from LA. None of my neighbors are from LA. You go to a restaurant in Los Angeles, chances are, 30% of the people in there or less are from LA. So I go to a restaurant last night. They got the Cubs on, huge brand in a playoff game scenario, and you got the Lakers and LeBron-- an NBA preseason game. Everybody's watching the Lakers. I mean, it's, like, what? Well, that's because you're in Los Angeles. This isn't Green Bay. It's the opposite. It's not Milwaukee. This is not Juneau, Alaska. You know, you're not moving there for jobs. Los Angeles is transient, well, the most transient city in America. And like dinosaurs coming back to life and eating people, LeBron in Los Angeles with this team-- just say it out loud. Just say it out loud. LeBron, celebrities, LA, Rondo, Lonzo Ball, maybe LaVar, Magic, chasing banners. You don't think that's interesting? The Denver Nuggets, his fifth for Zach Lowe. He had the bull's sixth. If the Nuggets and Bulls were playing on one channel in America and LeBron the other, who are you watching? I mean, don't out-think the room Millennials. You're all trying to convince us how smart you are, and oh, I'm an analytic and I [INAUDIBLE] and I wa-- NFL's still the king. The Pro Bowl crushes virtually, you know, every NBA game that LeBron's not in. So I'm watching this thing last night. I'm just laughing. You can't take your eyes on that stuff. Don't fight the obvious. Don't fight it. "Jurassic Park--" dinosaurs, people, they're eating them and chasing them. Every one of them is going to make a million bucks. Sorry if it's not sophisticated, sorry if it's not an independent film, sorry if you don't like the plot. I'm watching it last night. I can't take my eyes off that thing.